Aellea Classic Movie Scripts - Download transcripts, scripts, and scenarios of classic films. American Film Institute Silent Film Catalog - The AFI Catalog Silent Film database contains over 25,000 entries for silent American films from the years 1893-1930. Charlie Chaplin Unleashed - For all things Chaplin, check out this site. 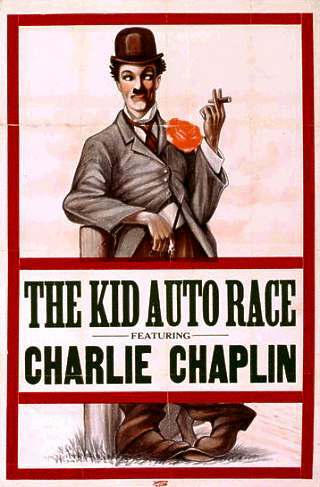 Includes info on Chaplin DVDs, books, performances and events, a bio, and listings of Chaplin-composed music. Choose DVD Rental - The UK's best independent guide to online DVD rental. Cinevent - Running for thirty-six years and still going strong, Cinevent is one of the finest showcases in the nation for 16mm screenings of classic films (and 35mm films shown at the nearby Wexner Center for the Arts). Every Memorial day weekend, Cinevent attracts dealers and film lovers galore: plow through thousands (millions?) of lobby cards, posters, tapes, 16mm and super-8 films, lps, magazines, books, and lots more! Classic Films - Enter Michael Mills' Classic Films Palace, where hundreds of images, including audio clips and a comprehensive bibliography, are stored. Mills loves old films! Classic Movies - One of the best online classic film resources, Brad Lang's Classic Movies website and forum is a home for friendly discussions and debates on classic films. ClassicMovies.com - Rent 16mm and 35mm prints of classic films, documentaries and shorts, for public exhibition. Choose from Hitchcock, Buster Keaton, Lon Chaney, and lots more! Classic Movies: Welcome to the Golden Age - Galleries, links, posters, photos: everything you need to know about classic film actors and directors. David Drazin - One of the finest silent film live accompanists and improvisers, David Drazin has also recorded ballet improvisations and modern and traditional jazz. The Digital Bits - An excellent source for informed and intelligent news, opinions, and conversation on films in the digital age. The Digital Bits also features six regular columnists, including the erudite film producer, historian and preservation expert Robert A. Harris. Early Cinema.com - All you need to know about the first decade of cinema, including a timeline, essays, and profiles of pioneers such as Edison, Georges Méliès, and the Lumière Brothers. Fleischer Popeye Tribute - Everything you'll want to know about Max and Dave Fleischer's classic Popeye cartoons from the '30s and '40s, including eye-popping stills from the Fleischer's Technicolor two-reelers. Flicker Alley - A new DVD production company concentrating on silents, Flicker Alley's first releases have received universal praise. Now associated with Turner Classic Movies, Flicker Alley's DVDs are highly recommended. A Free Soul: The Norma Shearer Message Center - An active, fun, and informed gathering place for fans of MGM silent and sound star Norma Shearer. The Golden Age of Hollywood message board - Over 600 members discussing classic films - it's movie heaven! Also discussed: old time radio, pulp magazines, and more. Golden Silents - Silent star biographies and photos, video clips, and a silent film message board. The Greatest Films - Tim Dirks loves films, and his site is "an award-winning, unique resource for classic film buffs and all who are interested in films. Includes interpretive and detailed plot synopses, review commentary, an unparalleled wealth of film reference material, and historical background for hundreds of classic Hollywood/American and other English-language films in the last century." Internet Movie Database - You want information on movies? Access over 6.3 million individual film/TV credits on IMDB, as well as message boards, photos and posters, trailers, showtimes, reviews, biographies, and more, more, more. Kansas Silent Film Festival - News about Topeka, Kansas' annual, free silent film festival. Laurel and Hardy: The Official Website - Learn more about Stan and Laurel at this site, which includes video postcards, a downloadable screensaver, and the proverbial more. Leonard Maltin's Movie Crazy - Named after Maltin's classic movies newsletter, his Movie Crazy site is packed with fantastic and absorbing news on film preservation, screenings of rare films, rediscovered footage, an online journal, transcripts of film reviews broadcast on radio, back issues of Maltin's Film Fan Monthly for sale, and more. Kino International - The best resource for silent and classic films on DVD and VHS, as well as filmed theatre, documentaries, foreign films, theatrical rentings, and more! Mary Pickford Institute - Dedicated to upholding the legacy of America's Sweetheart, the Mary Pickford Institute website features a movie clip, filmography, biography, bibliography, a photo gallery, news, and a link to information on theatrical bookings and current home video releases. National Film Preservation Association - The official website for the nonprofit organization created by the U.S. Congress to help save America's film heritage. Nitrateville - A friendly and informed forum for appreciators of silent and early sound film: "Talking, collecting and preserving classic film." The Official Website of Lillian Gish - Download wallpaper screens of this legendary silent screen actress, read quotes, a biography, career highlights, and a listing of her TV appearances. Plus, links to Lillian Gish books, DVDs for sale and other tribute sites. Paramount Film Preservation Projects - A list of films Paramount has saved to modern film stock, with info on their restorations of Sunset Boulevard and Roman Holiday. Professor Hall's Silent Movies - Buy and learn about Zoetropes, the optical toy which was the precurser to film. Also learn about some of the earliest showmen and projectionists! Reel Classics - This site contains an awesome 2500 pages of classic movie content, including classic movie wallpapers, screensavers, and desktop themes for your PC. Rialto Pictures - Rialto Pictures specializes in theatrical re-releases of classic American and foreign films. Their website features film screening listings and posters for sale. Silent Era - This website features hundreds of reviews of silent films released on DVD and VHS, lists of lost films, photos, biographies, and more. The Silent Film Bookshelf - The Silent Film Bookshelf reprints original documents written during the silent era. It's an amazing storehouse of knowledge. Silent Ladies and Gents - 15,000 images of 1,400 silent film stars, plus QuickTime movies, E-cards and merchandise. Where else are you gonna find a Theda Bara golf shirt? Silent Movies - Another valuable resource site for silent films, listing worldwide screenings, links to silent film interest groups, links to film preservation groups and more. Silent Movies on DVD - Looking for listings of Region 1, 2, and 4 silent film DVDs? This is the place. Things-and-other-stuff - Quality vintage movie collectibles and memorabilia at bargain prices. Photos, premiums, trading cards, magazines, a free newsletter, collector classifieds, prices realized, articles and more! Turner Classic Movies - Turner Classic Movies is the gold standard in early film television programming. The early films they show are uncut, and uninterrupted. Movie heaven, indeed.